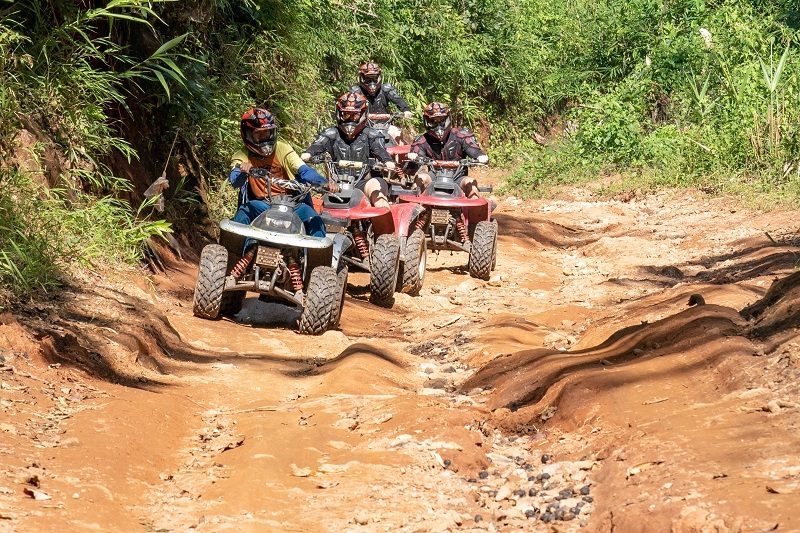 Jungle trekking and fun ATV safari! 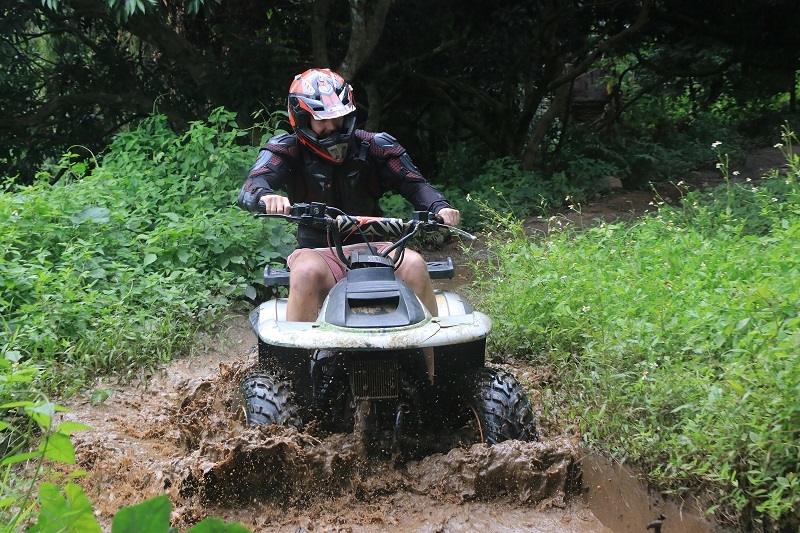 Combine a beautiful 3 hour jungle trek to a fantastic waterfall and an awesome ATV Safari! 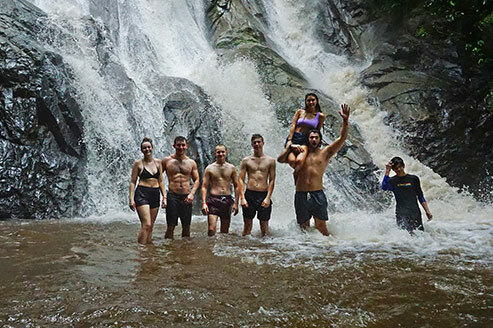 Enjoy a 3-hour trekking adventure to a waterfall; a great way to see the jungle and cool off in the water. The trek itself is about 1.6 km through the jungle to a 10 metre high waterfall. 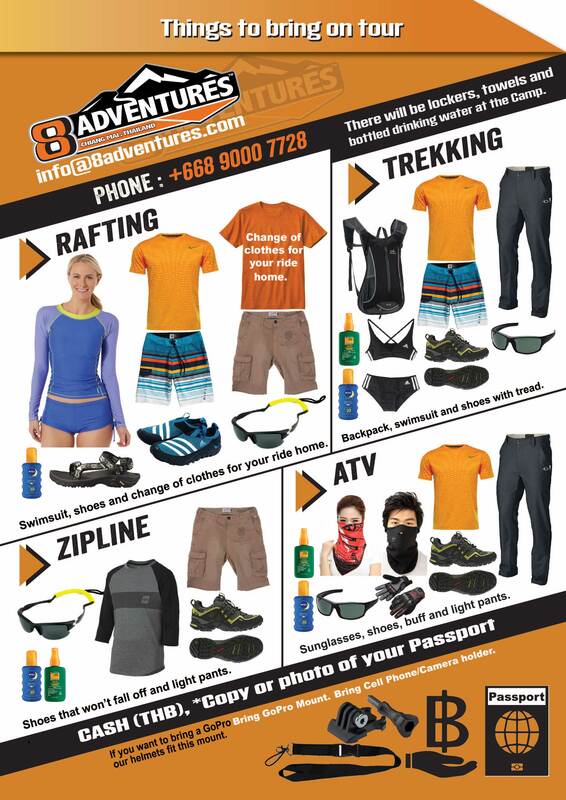 We then take a break here so you can go for a swim so it’s a good idea to be change into your swimming attire at the camp before you start the hike. The guide will point out flora and fauna along the way. 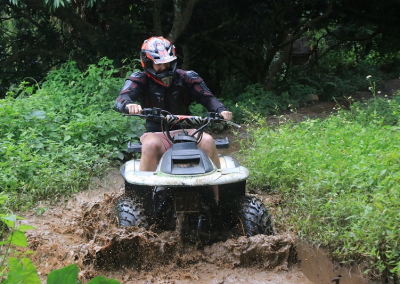 8Adventure’s 3-hour ATV trip is set up for beginners to intermediate drivers. We start out with detailed instructions and a training course to get you comfortable with your vehicles. 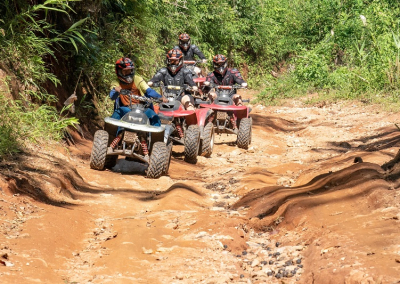 It covers roughly 40 km in distance it is a mix of on road and off road jungle terrain. 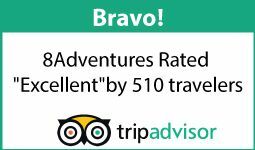 It’s well-suited for those that would like to explore the local countryside and see it a different way.